TL;DR: If you use generic drugs, you may want to find out where they are from. If they’re from Ranbaxy or Dr. Reddy’s, both in India, find a different provider for your health’s sake. This is shocking enough, but you ain’t seen nothing yet. This recent article over at CNN Money raised all sorts of red flags for me this morning. It’s fairly long, but I read every word, and what I read left me shaken, not stirred. I would recommend reading it in its entirety. I take two generic drugs provided to me via Welldyne RX, my company’s bulk drug provider, and I started doing some research. I discovered that one was made by Sun Pharmaceuticals, and the other by Dr. Reddy’s Laboratories, both based in India. After having read the Ranbaxy article, and digging in to the various generic manufacturers of the drugs I take, it became clear that it’s not just the Russian Business Network selling counterfeit or low-quality drugs, but the legitimate pharmaceutical providers, each of whom has a byzantine network of providers and producers which make guaranteeing quality extremely difficult. OMEPRAZOLE 20mg R158 (Omeprazole delayed release 20 mg) – Dr. Reddy’s (India) – this is the one dispensed to me by WellDyne RX. Looking at these manufacturers and their supply chains, it would be difficult to know whether any medication is actually made in the USA without further digging. Many, many paths lead to India, and given the mind-bending history of corruption, fraud, abuse, mismanagement and outright criminal skullduggery uncovered at Ranbaxy, I am very leery of any medications that come from over there, even in part. 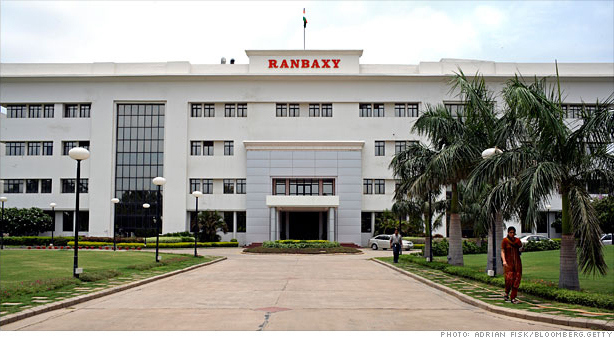 Ranbaxy is still in operation, controlled in large part by Japanese firm Daiichi Sankyo. For the Record, Sun Pharmaceuticals works out of India, but thus far seems free of complaints or black marks. But the entire landscape makes me nervous. Tomorrow I call WellDyne Rx to see if I can get my meds sourced from the USA. This entry was posted in Corporate Folly, Fraud, Health. Bookmark the permalink.